Whole minutes passed when I didn’t think of my man and the swimming lesson set up for the next day, if no one was murdered before then, or the cars stopped, or a bomb go off somewhere… On a hot, humid Monday afternoon in July 1919, Maeve Curragh watches as a blimp plunges from the sky and smashes into a downtown Chicago bank building. It is the first of ten extraordinary days in Chicago history that will forever change the course of her life. Racial tensions mount as soldiers return from the battlefields of Europe and the Great Migration brings new faces to the city, culminating in violent race riots. Each day the young Irish immigrant, a catalogue order clerk for the Chicago Magic Company, devours the news of a metropolis where cultural pressures are every bit as febrile as the weather. But her interest in the headlines wanes when she catches the eye of a charming streetcar conductor. Maeve’s singular voice captures the spirit of a young woman living through one of Chicago’s most turbulent periods. Seamlessly blending fact with fiction, Mary Burns weaves an evocative tale of how an ordinary life can become inextricably linked with history. The Reason for Time is a unique historical novel. It tells the story of Maeve Curragh, a young woman who works as a clerk at a magic novelty company in Chicago, 1919. Maeve witnesses a blimp (the Wingfoot Air Express) crashing into a bank building. In the panicky days following, she begins a flirtation with a handsome streetcar conductor named Desmond Molloy, and then watches as the city experiences frightening race riots. The novel is told in first person with a rambling style. It is told in Irish dialect and includes some politically incorrect language (that was in use in the 1910's). The dialect adds immediacy and detail, although it slowed the reading down a bit. The historical details are exceptional. Between the first person narration, the details, and the day by day narrative structure, the reader has a sense of being in Chicago during a very tumultuous time in 1919. Maeve is a well developed character. I wanted her to find happiness and cringed when she made some very bad decisions. 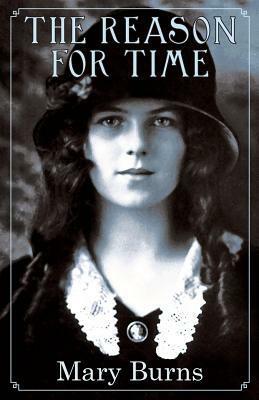 I liked the epilogue that caught readers up with the rest of her life after this period in 1919. The Reason for Time will be of interest for historical fiction readers, as well as anyone who has an interest in Chicago history or early 1900's immigrant history.